Prime Main St corridor! West of Main Street! 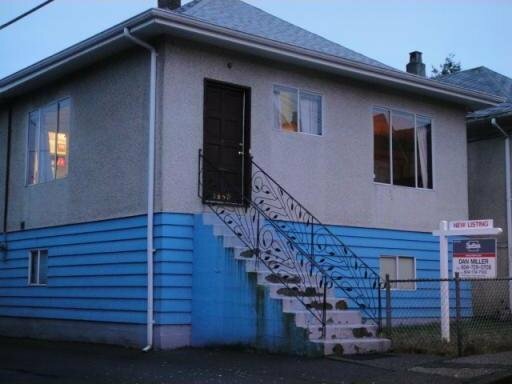 Located at 22nd and Quebec this 2 level home has loads of potential. First time on the market and owned by same family since new. 2 bdrms up with 9' ceilings, open plan, large deck off kitchen and eating area. 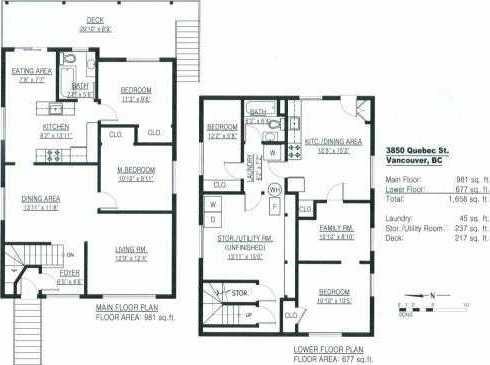 Bsmt has high 9' ceilings and 2 bdrm suite plus approx 300 SF of unfinished area. 1 car carport at rear, side lane, 10 yr furnace and H/W tank, new roof 2008, some original character still intact. House next door is the same and has been completely redone, good comparison of what this home could potentially become. Low maintenance lot size, awesome central location. Hurry, hurry! Open house Saturday, Jan 23rd, 2-5PM. Great reno project.